Those who first come up with the fusion of green tea flavor and desserts – and I want to thank them, whoever they are – must have shouted, “Eureka!” The substantial bitterness of green tea balances the sugariness of a dessert, whether it’s a cake or ice cream or whatnot, creating one perfectly harmonious flavor. In addition, it is one of the simplest ways to give nuances of Asian food to European desserts. In Korea, there is one ingredient rising just as much sensational: “ssuk,” or mugwort. A type of herbs commonly found in Korea, mugworts are applied in various ways in Korean cuisine. Typically, its leaves are added to soup or Korean rice cakes to give a uniquely refreshing taste. Recently, an increasing number of dessert shops are utilizing the herb to make dull desserts anew. 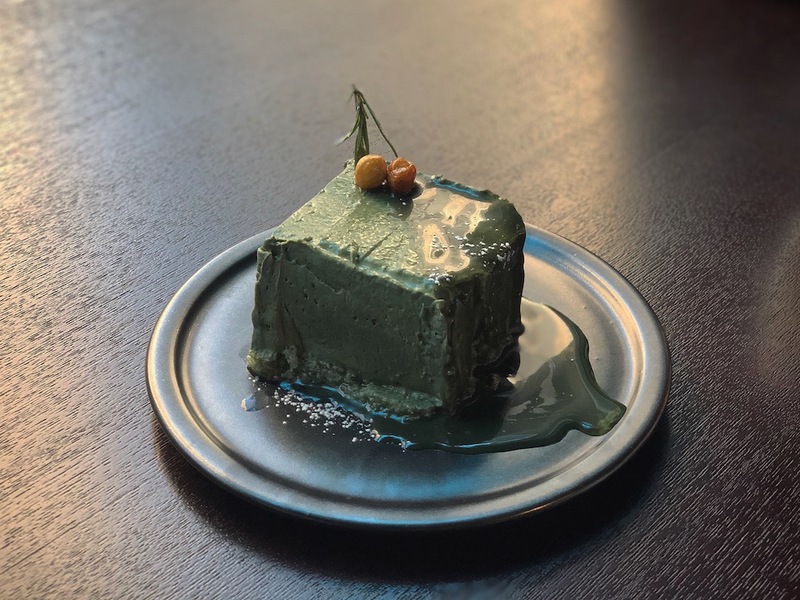 From ice cream to tiramisu, you can find every imaginable variation of mugwort desserts from the list below. Madame Tiramisu, as the name says, is a dessert cafe specialized in tiramisu. In addition to the classic tiramisu, they make the creamy Italian dessert in various flavors. Matcha Green Tea, Banana Caramel, and Pumpkin are equally unique, but Mugwort surely is what stands out the most. The gooey texture of Madame Tiramisu’s cake meets the dense scent of mugwort, creating a unique dessert. Those who try a mugwort dessert for the first time might find it unfamiliar as their Mugwort Tiramisu have a rather strong taste. Jaein is a dessert boutique located in the quiet neighborhood of Yeonhee-dong. Opened only a few months ago, it’s rising as the hottest dessert place and most items are sold out before closing. Jaein makes seasonal cakes in addition to the whole variety of small cakes and sweets like Madeleine, cookies, financier, and pound cakes. Among those, Mugwort Madeleine is many people’s favorite. A hint of mugwort’s scent amplifies the subtle savor of the Madeleine, which is finished by bean powders. The Martin is a compact ice cream stall located in Seochon’s tranquil alley. The ice cream shop is famed for making small batches of quality gelato using organic ingredients. In addition to the traditional gelato flavors, The Martin twists the Italian ice cream by using local ingredients from Korea. Its dense and rich texture is a perfect match for mugwort flavor. Omoknooni is a dessert cafe most well known to make a variety of delectable scones. In addition to the English tea food, you can also find the complete set of mugwort desserts and drink – Mugwort Scone, Mugwort Cake, and Mugwort Latte. Mugwort Crumble Cake is the latest creation of the cafe, which is already beloved by many. Sweet mugwort cream is sandwiched between cake sheets and the whole thing is topped and enriched by mugwort crumbles. Re, Birds has been releasing a series of mugwort desserts seasonally. 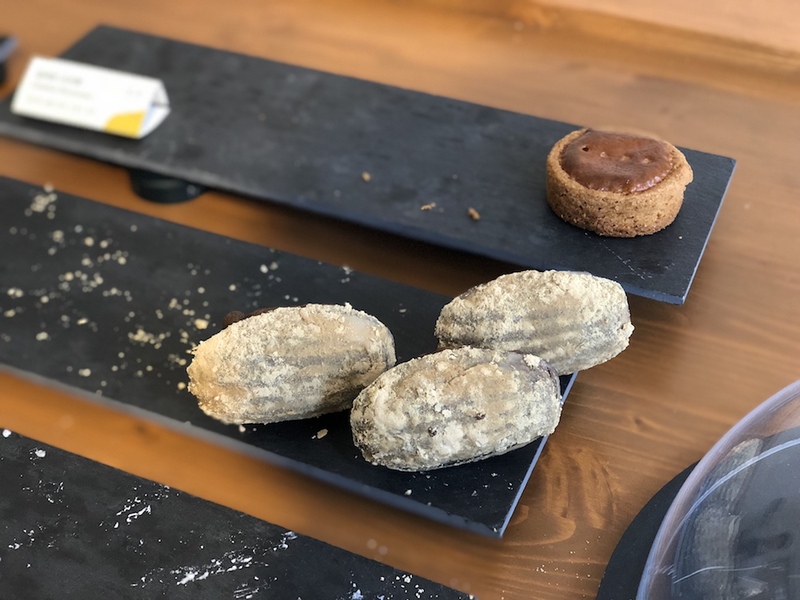 Since its opening last summer, the small dessert cafe has been serving its own mugwort creations ranging from cookies, pound cakes, scones, Madeleines, to cheese terrines. Among many, Mugwort Cheese Terrine stands out the most. Cheese terrine, which is basically a slice of gooey and dense cheesecake, has swept Korean dessert trend once. Re, Birds’ Mugwort Cheese Terrine is an upgraded version of that, using mugwort cream or bean cream to revamp the flavor.